KOSOVO – Two Kosovar companies with a lot of potential to grow, will visit The Netherlands in October this year. Both of the companies are active in the food processing industry and are looking for Dutch investors, customers, partners, and experts to let their business grow. ‘Rizona’ sells both high quality fresh and canned vegetables. This will be an amount of 250 tons of vegetables, in the year 2015. The owner of the company is Bashkim Bytyqi. 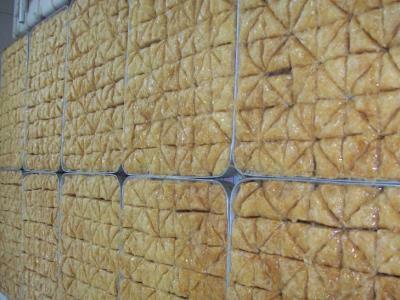 The other company, ‘Edona’, is specialized in selling sweet pastries like baklava, the famous ‘Turkish’ delicacy. Edona delivers her goods to many big supermarkets, restaurants and hotels. But her product does not stay in Kosovo, as also other European countries are interested. Owner of the company, Fatmire Maliqi, received the title of ‘most successful businesswoman of Kosovo’, in 2014. Owners of both of the companies will visit Amsterdam on the 7th and 8th of October to meet potential partners. If you are interested in the program, and the possibility to meet (one of the) owners, you can send an email to Annemarie van Mossel of BiD Network (annemarie.vanmossel@bidnetwork.org). She has also more information regarding the two promising companies. Interested in more about doing business in Kosovo?